Healthy meal prep doesn’t have to be as difficult as you might think. A few steps and some convenient products make the world of difference. Today I’ll be sharing some easy steps to healthy weekly meal prep. My husband and I are on a mission to both save money and eat healthier. While that may seem like an almost impossible task, it is possible to eat healthier while saving some moolah if you plan it all out. 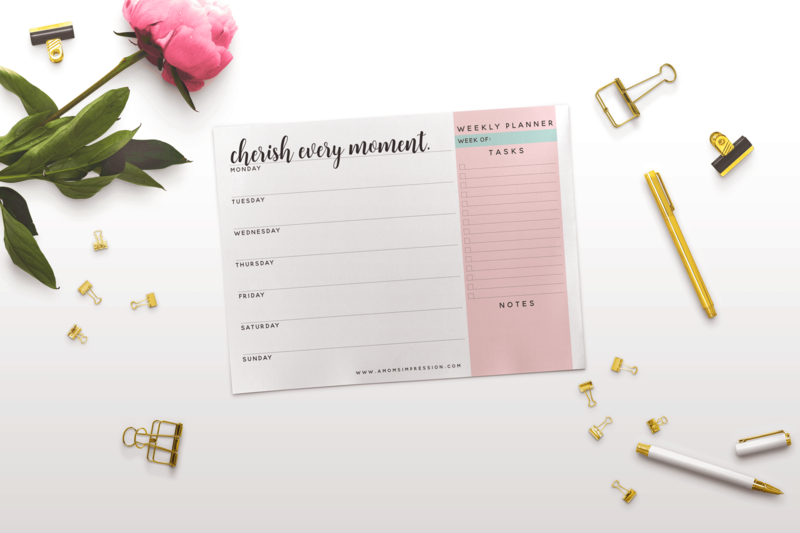 Weekly Menu planning has been a lifesaver when it comes to staying on a budget. I find that if I plan out all our meals ahead of time we are less likely to splurge on takeout. The tricky part of meal planning comes when planning breakfast and lunch options as we need quick, convenient meals. 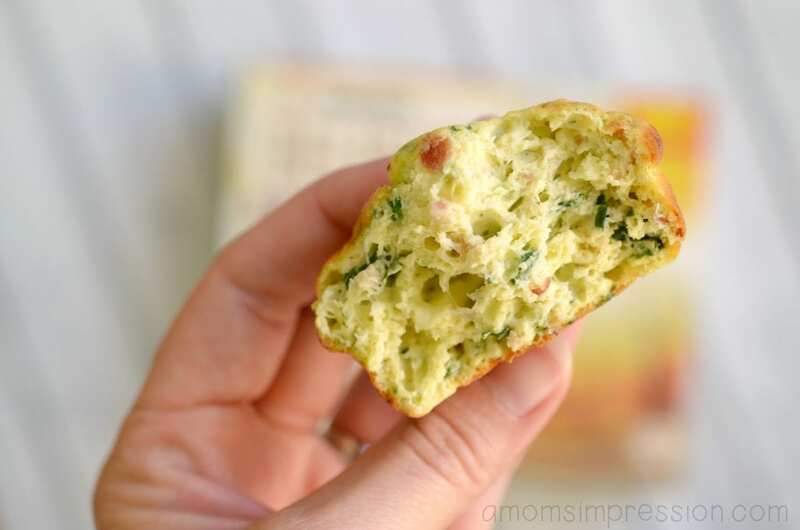 Our mornings are hectic and I am the one who is frantically trying to get breakfast ready, make lunches, and get the kids ready for school all within an hour. The kids’ bus comes really early in the morning so my window of opportunity for making breakfast and lunch is limited. My solution is to shop at Sam’s Club for breakfast and lunch items that I can make quickly. 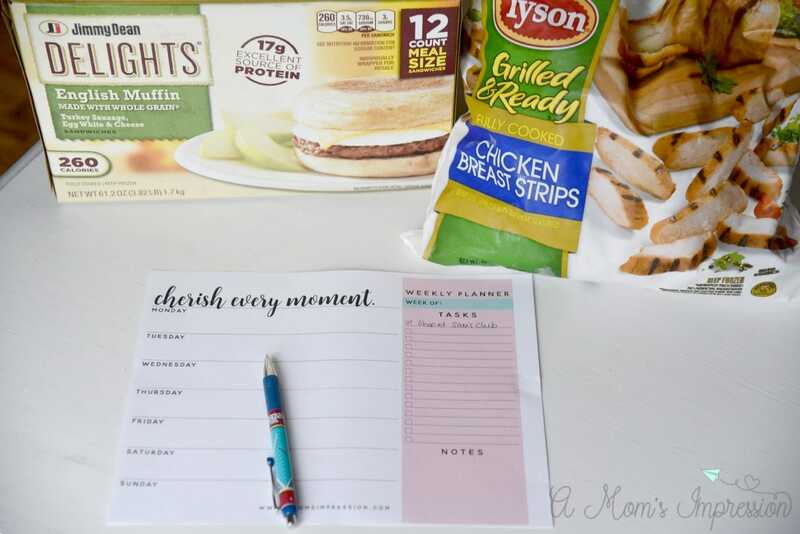 I have found several Jimmy Dean Delights® and Tyson Grilled and Ready® items that are convenient solutions and are ready to go in minutes for breakfast and lunch! My kids love their cereal in the mornings, but I also like to provide meals that give them the protein they need to make it through the school day. 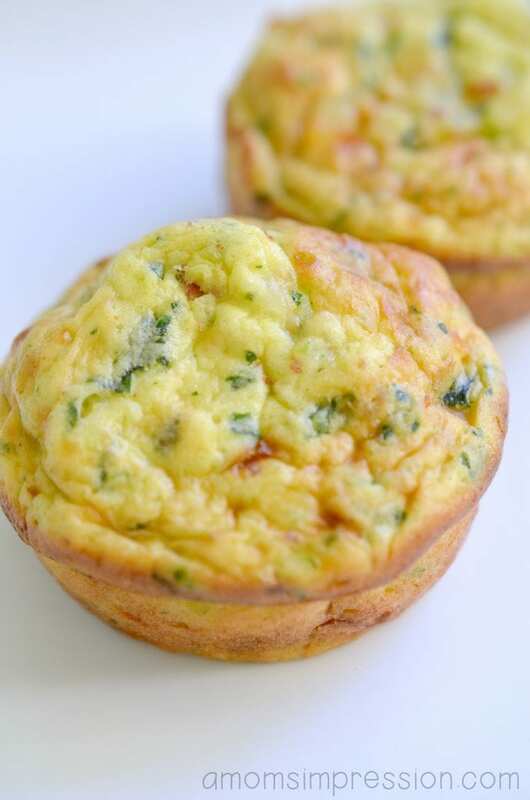 Jimmy Dean Delights® Frittatas have been a huge hit in our home for breakfast. They are fluffy and moist and satisfy my hunger cravings in the morning. 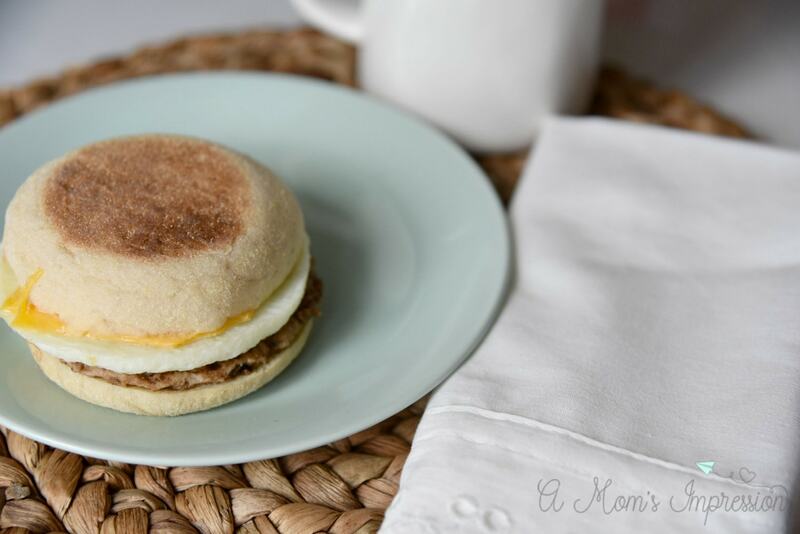 Recently I also tried the Jimmy Dean Delights® English Muffins and found them to be a tasty morning breakfast item. These are perfect for when I am working at my desk and need a quick breakfast while working on a project. I have also wrapped up one in a paper towel and took it with me in the car while I was dropping the kids off at the bus stop! 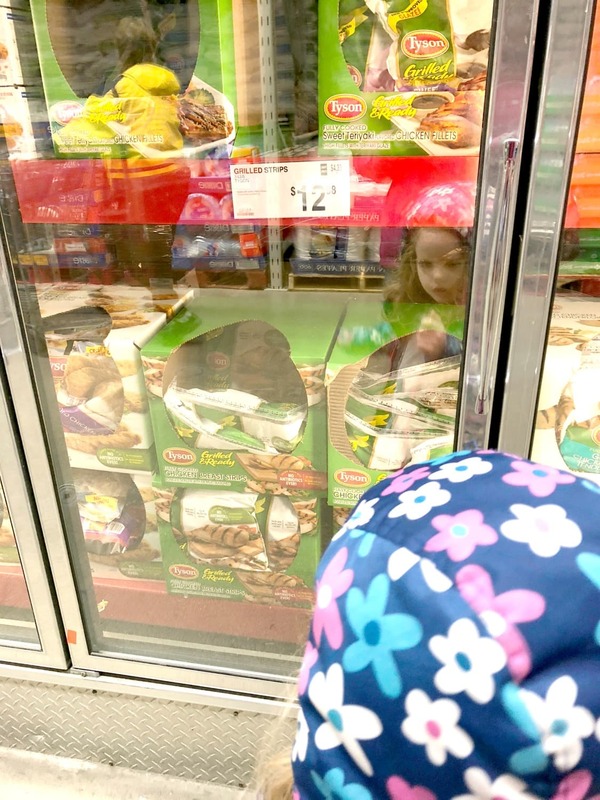 I have kept Tyson Grilled and Ready® Chicken in my freezer for years. It is so convenient to have chicken ready to go for salads and wraps during lunchtime. 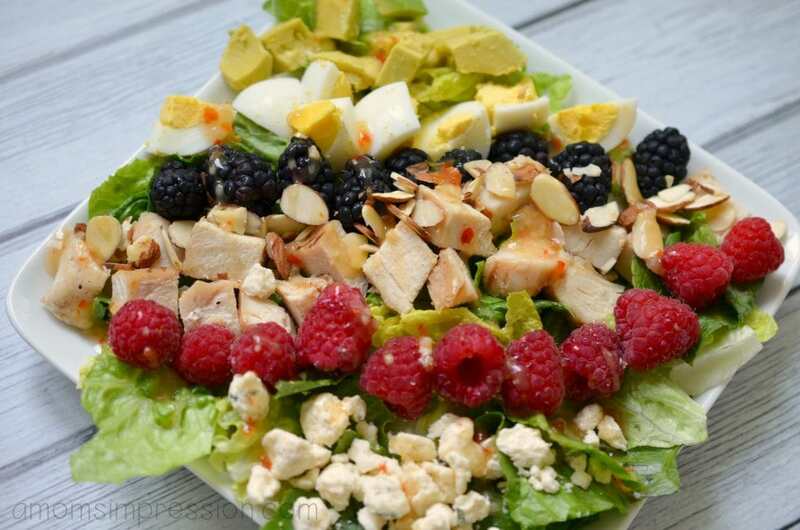 I often make this super simple summer cobb salad for lunch for my husband to take to work with him. It has healthy fruit and vegetables that fill him up until dinner time. One of my favorite lunchtime meals is a sandwich wrap using Tyson Grilled and Ready® Chicken, avocado, tomato, and romaine salad with a little Italian salad dressing, it is delicious! With all of these quick and easy options, planning ahead for breakfast and lunch for the week couldn’t be simpler. 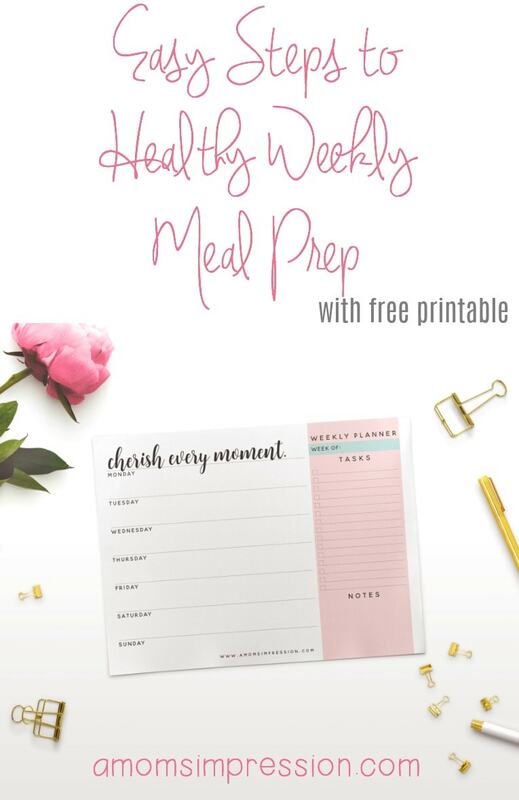 I thought you could all use a little help when it comes to planning your healthy meals for the week so I created a pretty weekly meal planner printable that you can use. Simply click the image below and print it out! You can find Tyson Grilled and Ready® Chicken, and Jimmy Dean Delights® in the freezer section at your local Sam’s Club store.